WikiSky ist Google Earth for the stars. 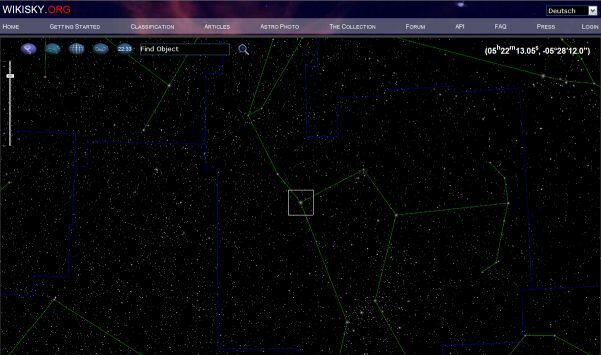 Wikisky can show you the stars above a given location at a certain time. Turn on constellation overlays to check out Orion’s belt, or hover over individual stars for name, distance, magnitude and constellation information.